It has been requested that this article be rewritten and expanded to include more information about their Yoshi's New Island appearance. Piro Dangles are enemies from Super Mario World 2: Yoshi's Island, its remake Yoshi's Island: Super Mario Advance 3 and Yoshi's New Island. They are invincible wisps of fire, with faces similar to that of Fryguy. Occasionally, their fire temporarily goes out, revealing that underneath they are light green spheres. 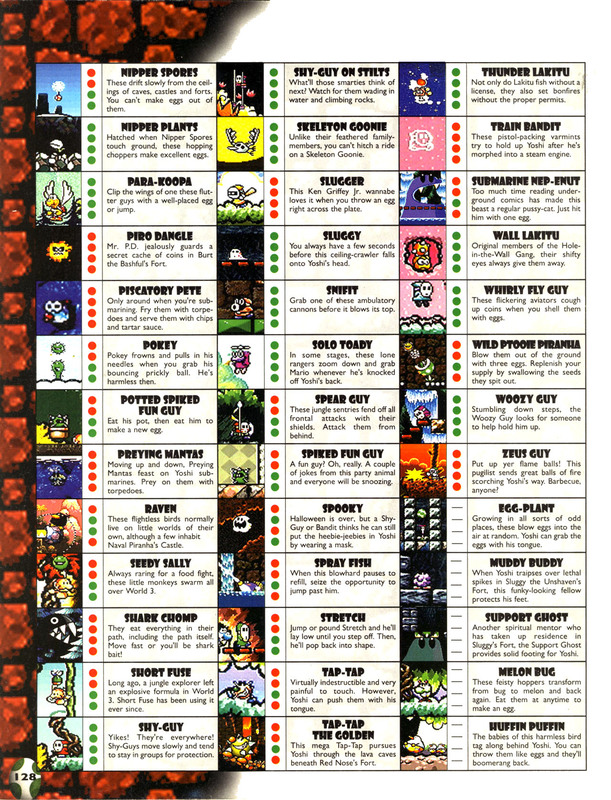 In the first game, Piro Dangles can only be found in a secret room in Burt The Bashful's Fort. These fire creatures simply travel around large blocks, and will hurt Yellow Yoshi if he touches one of them, similar to the Spark from Super Mario Bros. 2. In Super Mario Advance 3: Yoshi's Island, they reappear in Endless World of Yoshis, and can now be defeated with a blue watermelon. 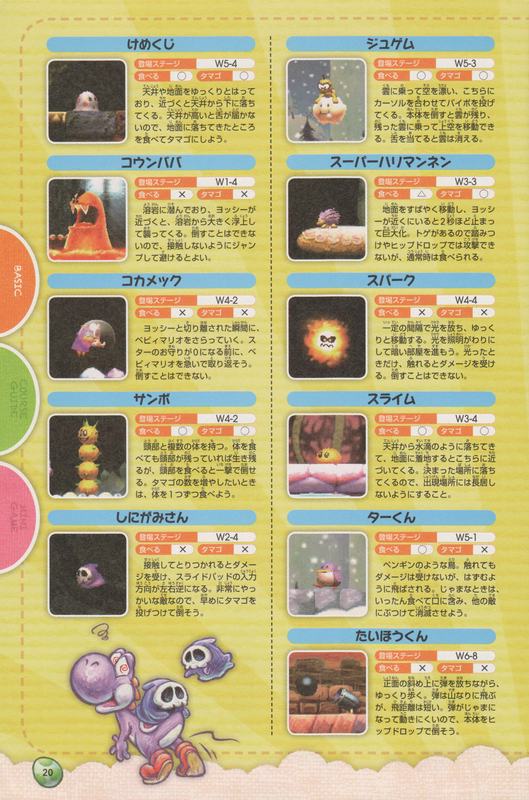 Also, there is an unused variant of Boo Blah that has a Piro Dangle on its head. 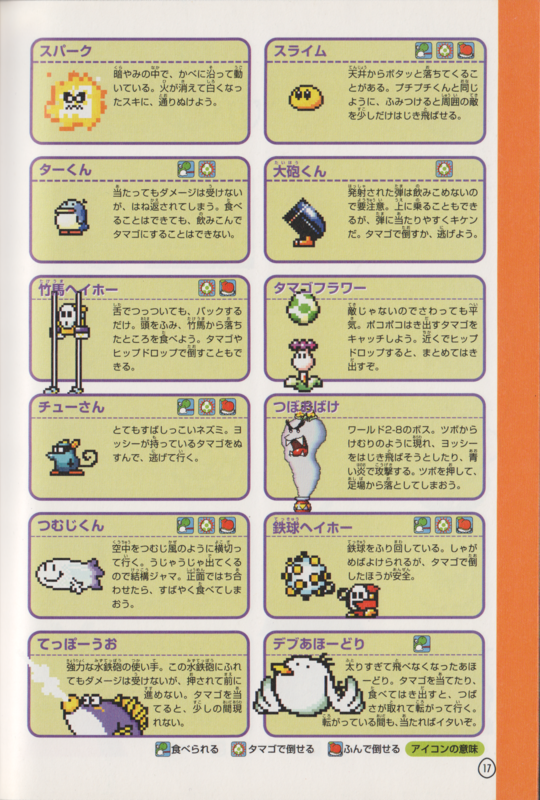 ↑ 「ヨッシー New アイランド 任天堂公式ガイドブック」 (Yoshi's New Island Nintendo Kōshiki Guidebook), page 20. This page was last edited on December 8, 2018, at 21:25.